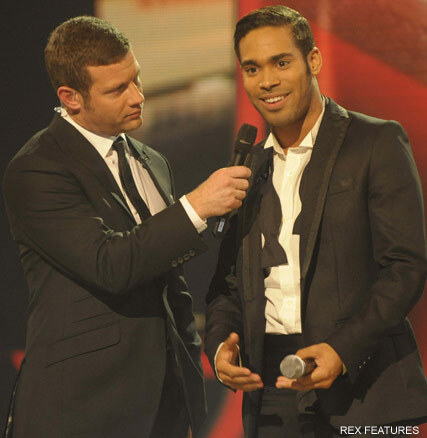 X Factor star Danyl Johnson dramatically stormed out of rehearsals yesterday, after a dispute over song choices. The star was said to be unhappy with his song – George Michael’s Praying for Time – chosen by Simon Cowell, and walked out in fury during a session with the show’s vocal coach Yvie Burnett. A source revealed, ‘He literally burst out the door and ran off down Battersea High Street. ‘A few production staff chased after him to try to calm him down and make him come back but he was having none of it. Now it seems Danyl is threatening to quit the show unless he is given a different song. The former teacher – who has been criticised in recent weeks for appearing arrogant and over-confident – seemed to have toned down his behavior. But this latest tantrum has left people wondering. Do you think Danyl is over-confident? Let us know your X Factor thoughts in the comments box below.